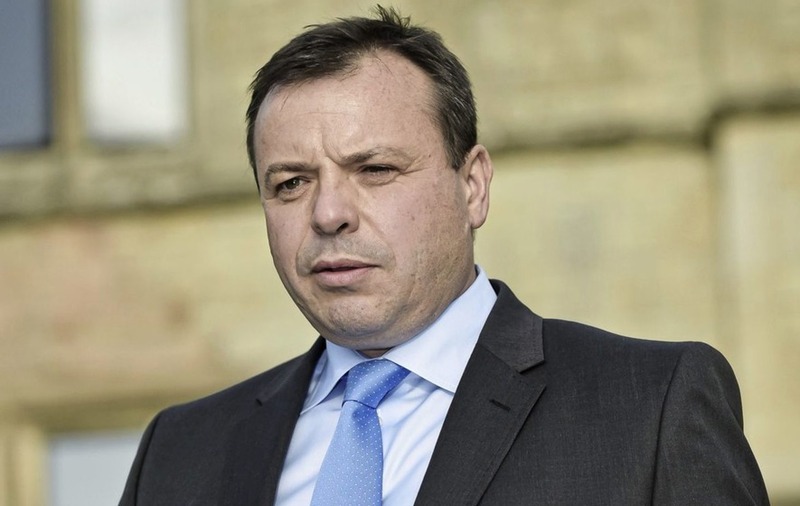 The remain sphere has long decided that Arron Banks is guilty of something. We have seen months of innuendo and speculation but nothing definitive. They want us to believe that there is no smoke without fire and the smoke alone is reason enough to halt the Brexit proceedings. They haven't thought this through. Factors influencing the decision to vote leave are diverse. From a human rights perspective seeing how EU policy fills up the seas with corpses that alone is reason enough to vote leave. If your primary concern is national sovereignty then leave is a no-brainer and if you want an end to freedom of movement then that is as much a culmination of lived experiences as any other factor. But then humans don't make political decisions in isolation. they discuss it with friends and family and look to opinion formers within their social circle. A fair few people voted to leave on the basis of something I said. A few people even voted remain on the basis of something I said. You can't please everybody. The point, though, is that people do go and vote the way they did of their own volition. There is no suggestion of vote tampering or postal vote fraud. As far as the physical voting goes this was as clean a vote as they come. So then imagine how it would look when, on the basis of some manufactured speculation, when Remain actually spend considerably more than Leave, an establishment that never wanted to leave does an about face and snatches our votes away from us. There will be hell to pay and there would be lasting repercussions. More to the point, it wouldn't settle anything. There would have to be a re-run. Is Remain sure that they would win it? I don't think so. By this time there would be a growing voter backlash, believing that the nullification of the first referendum was an establishment stitch up. There are plenty of ways to spin it. And what would a re-run look like? Who would be in government, what would their approval ratings be and what position would they take? These variables are impossible to call. We know roughly what the constants are in the the Leave brigade would be roughly the same faces and likewise for remain and again it comes down to which side is the least loathsome. On the leave side we have boorish and clueless and on the remain side we have condescension and bile. It could go other way. The question, though, is whether it would actually settle anything. Assuming the EU would allow us to stay, wed' be in a position of having wanted to leave to having to negotiate our position going forward which would likely come with EU demands to end the rebate and a number of opt outs. I cannot imagine anything more poisonous on the domestic front. Pretty soon after that, Ukip is back in business and those like me who had previously preferred to keep them at arms length, will be voting for them without hesitation. Enough to keep British politics off balance for years. If the aim of remain is to stop Brexit so that we can all go back to the 2012 Olympic opening ceremony and sing Kumbaya then it simply isn't going to happen any way you cut it. Westminster would try to get back to business as usual, attempting to sweep it all under the rug, launching special initiatives and spending programmes, but none of it will make a dent. There's too much bad blood. Meanwhile EU membership has next to zero legitimacy in that we'd be a rule taker from an entity we actually, as a matter of fact, voted to leave. Any future in the EU is one where roughly half of the electorate must be permanently subordinated and the issue comes back to haunt us again and again and again. We should also note that without a political resolution, the uncertainty may ease somewhat but then the issue remains an open question which will deter long term investment. Then eventually we bump into another major EU level crisis - because there always will be one - and the cycle starts all over again. There is then the matter of any future EU treaty which the UK would have to put to a referendum - which it would lose and then the EU is stalled permanently. We'd remain in a Lisbon limbo with the EU becoming ever more dysfunctional. The fact remainers cannot and will not admit is that Britain simply does not belong in the EU. We therefore have to find another way so that we can return to a sense of political equilibrium. EU membership has never been able to secure a stable mandate and we have only been in it this long because hitherto now we have been denied a say. Leaving was always an inevitability and gruesome remainer hopes that leavers would simply die off will not come to pass. Moreover, remain sentiment is now less to do with the EU than it is a fetishisation of the EU as a totem of their progressive virtue. 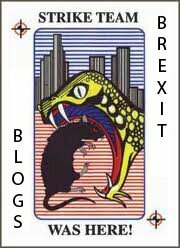 For the rest of us the EU may have certain practical advantages but everybody normal has no love of it. If there is a pragmatic, sensible way out (which indeed there is) then most remainers would go along with it. Many confess to me that Efta would be entirely acceptable. Being that a combined effort of the extremes have managed to kill Efta for the time being, a sane Brexit seems less likely than ever but it still looks to me like the fastest way back to normality is to bite the bullet and let Brexit fever run its course. There will be much rebuilding to do afterwards but I still believe this will be a positive for our politics and as we do adapt to our new settings the legacy remain movement will melt away to become a shrill irrelevance. The EU for as long as it has existed has been a thorn in the paw of British democracy and it has defined much of the factional infighting for all of my adult life. Britain is unable to move forward without resolving this question and if the remain establishment conspires to keep us in then we will spend the next forty years bickering about it and it then falls to the next generation to sort out. We cannot go on like this. It's time to end it.